Investors in chit funds deserve to get back their money and the Pradesh Congress will take all steps to ensure the recovery, asserts its new President, Jaydev Jena. In a press release he has said that the Congress Party will never tolerate the conspiracy hatched by Naveen Patnaik led BJD Government to suppress the mega chit fund scam. 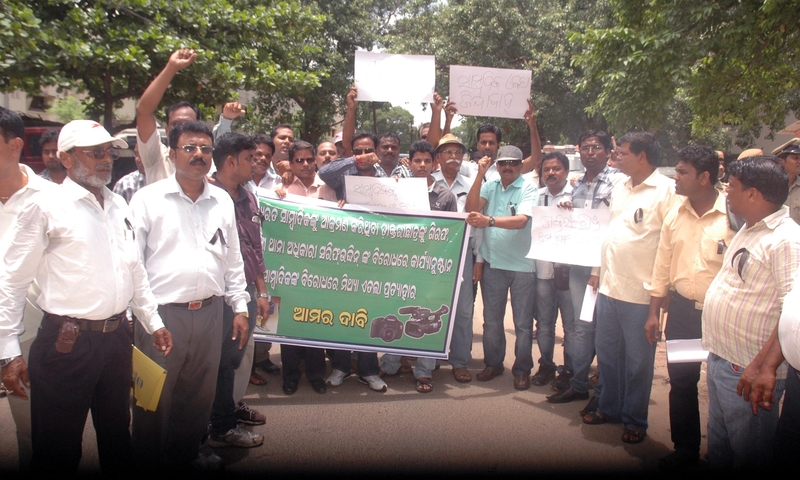 The state Congress will continue its agitational programs till the last depositor get their money back, he has said. According to the press note, the Congress will extend co-operation to all the depositors, who would want legal aid to fight in the court of law. For the purpose, the PCC is organizing to open helpline desk from block level to state level consisting of block President and one lawyer at block level, district President and two lawyers at district level and two senior leaders and three senior lawyers at the state level. These cells will be constituted to provide legal assistance free of cost to the affected people, who have filled FIR or taken the shelter of court of law. Coming heavily down upon the CM for his unwillingness for a CBI inquiry into the chit fund fraud, Jena has attributed this reluctance to involvement of his ministers and party MLAs, MPs in the offense. There has been the network of 95 chit fund companies out of which 25 ones like Seashore, Arthatatwa, Sharada, Astha, Green Ray etc are prominent. The crime branch has enquired into their spread and spotted the culprits; but is not revealing the names of depositors and investors under off the record directions of the Chief Minister, he has alleged. 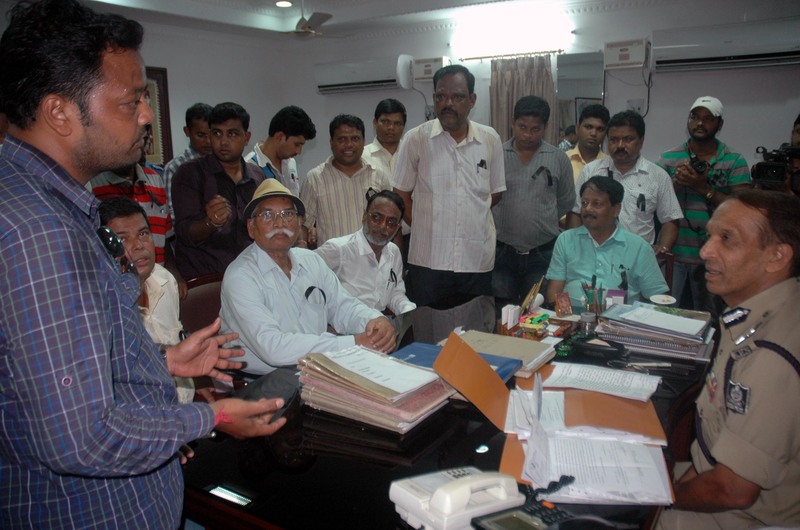 Shri Jena has demanded release of white paper on the chit fund fraud by the Government forthwith. Self-seekers who join politics always hanker after power and change from party to party if that helps them fetch ministerial berths. The party they enter into feels burdened with them; but they survive there by ingratiating themselves with the top leader of that party and showing more aggressiveness against its rival political parties, specifically against the party they leave behind. These self-seekers have no self-respect and they tolerate any insult the party of their refuge – earlier embarrassed because of them – inflicts. Srikant Jena is no different. He has more experience as a minister than some of the cabinet colleagues of Prime Minister Dr. Manmohan Singh. With the experience of handling important departments like Industry and Urban Development in Orissa in the last part of 1980s, he rendered his services as Union Minister of State, Small Scale Industry, Agro and Rural Industries in 1990 and after a gap with parliamentary assignments as Janata Dal’s Chief Whip, he again joined the Union Ministry as Cabinet Minister of Parliamentary Affairs and Tourism. It was, therefore, expected that, when, despite anti-Congress wave in the State, he was elected to the 15th Lok Sabha in 2009, the Congress, for which he had deserted the Janata Dal, would offer him a cabinet berth that he deserved. But Prime Minister Manmohan Singh and his extra-constitutional boss Sonia Gandhi wanted to offend Orissa by appointing him as a mere Minister of State, because Orissa had rejected the Congress. It was a direct assault on Oriya mana. Srikant should have refused to accept the position. But shamelessly he accepted and joined as Union Minister of State, Chemicals and Fertilizers. In the last part of 2011, he was allowed to work independently and later put in charge of Statistics and Program Implementation which he had to relinquish in October 2012. Sans any grumble he stayed satisfied with his stultification. He failed to understand that thereby Orissa was embarrassed. Congress Party has further embarrassed Orissa in the last reshuffle of Singh’s cabinet. When a more deserving MP like Orissa’s former Chief Minister Hemanand Biswal hailing from the tribal community was not even considered for a cabinet berth, Jena was made to make a farce of himself by acquiescing into the PM’s reluctance to elevate him to the cabinet. It was a deliberate design of Sonia-Singh combine to reject Orissa’s claim for representation in the Union Cabinet as thereby the POSCO pal Naveen Patnaik is to politically gain. We have, in these pages, time and again shown, how the Congress high-command has been helping Naveen to stay in power in Orissa in order to help imperialism continue to have a docile servant as Chief Minister in the land of fabulous mines and natural wealth. The same motive of Sonia-Singh combine manifested in keeping Jena out of consideration for a cabinet berth in the last expansion of the Union cabinet. Had he even an iota of self-respect or shame, he should have resigned in protest. But to him, staying docile to the Congress autocrat is more important than staying loyal to Oriya mana. He is shameless, but for him, Orissa is ashamed. Is it proper for a reported Supreme Court Judge to hurl abusive words at the Reporter? “The story was based on facts and I stand by it”. This is how Dhanajay Mahapatra of Times of India has reacted to an intimidating letter sent to the paper by Justice Gyan Sudha Misra of the Supreme Court of India in reaction to his byline in the same paper that reported how lawyers and litigants are disadvantaged by habitual late-coming of judges to the court. “Chief Justice of India (CJI) Altamas Kabir, who sits in court no. 1, is usually late to the court every day and the bench headed by him seldom commences judicial work at scheduled 10.30 am. But, Justice Gyan Sudha Misra appears to be setting a record of her own in coming late to the court. During normal working days, she too comes late to the court. But, during the ongoing summer vacation, punctuality in the SC appears to have lost its meaning as the bench headed by her, which was sitting from May 30 to June 14, assembled at least 60 minutes late on every working day”, he has reported. Reacting to this report, Justice Mishra has disparaged him with abusive words like “small-minded” and “irresponsible”, who “perhaps” works “at the behest of a motivated lobby”. She has told Times of India, “I have been instructed to communicate to you that your newspaper and your Sr. Editor/Reporter Mr. Dhananjay Mahapatra have once again indulged in irresponsible and contemptuous reporting by getting the news story published in all the daily editions (15th June 2013) of the Times of India relating to Court timings of the Vacation Bench obviously to hog limelight denigrating the image of the Institution. Your report clearly reflects that small-minded people neither have the vision nor the understanding to appreciate a larger issue in the functioning of an Institution but have the audacity to publish mischievous reports as per their perception without disclosing full facts perhaps at the behest of a motivated lobby which needs to be investigated. Fortunately, wide and wiser section of the media do not follow your special trait”. When judges come such late to the court and the lawyer and litigants spend their time waiting for their cases to be taken up, and when it frequently happens, the Press is expected not to keep its eyes close. The people have a right to be informed. So, Sri Mahapatra has done what his profession entails. The people must be made aware of whether or not the institutes of immense public importance function as programed. Indians are absolutely worried over delays in justice, and therefore, every reason of delay is to be located and discussed in public. The parliamentary forum is not properly functioning, the people know. They have watched how the Judicial Standards & Accountability Bill is made to limp for years, when evidently corrupt judges are escaping punishment by using their agents placed in material positions, as witnessed in the case of Justice S. Sen of Kolkata High Court, who even could sabotage the Parliament’s business of impeaching him for his malpractice and misconduct by using the then President of India, Prativa Patil. As long as criminals are able to use judiciary to keep allegations against them undecided and thereby hoodwinking the election laws occupy parliamentary seats, the corrupt and condemnable judges will never be impeached. In such circumstances, Press is to be more vigilant about the activities of judges as the judiciary is the last hope for the people whose leaders have sabotaged them and changed their democracy to plutocracy with the help of the executive. It is now incumbent upon the Press to speak loudly about judges who err so that the judiciary can get necessary input to usher in correction and the people can come to cogitate on how to build up the environment of judicial accountability. Therefore, reporting facts that need be reported to help judiciary know where improvement is required cannot be considered contemptuous to judiciary. And, if a journalist, that too a journalist of national repute like Sri Mahapatra, has reported on the impact of the habitual delay in Supreme Court judges’ coming to the Court, why should he be abused by the concerned judges with filthy terms like “small-minded people”? Is it proper for a reported Supreme Court Judge to hurl such abusive words at the Reporter? A person, who, sans any sacrifice for the people and their motherland, gets enthroned as the Prime Minister or a Chief Minister in a democracy in a situation of paucity of befitting claimants, may rule over the gullible people with sycophants blowing trumpets in his/her praise without stoppage; but it is a must that democracy shall stop breathing under that very undeserving person because of machinations he/she must have to employ to thrive on the throne; and because of emergence of plutocracy in the resultant environment. Both the Prime Minister of India Dr. Manmohan Singh and the Chief Minister of Orissa Sri Naveen Patnaik belong to this category. Both of them were placed in power by political midwives in peculiar situations of paucity of claimants and have continued to bag power, term after term, despite blatant misrule in every term. Both of them have served foreign interest more than they have shown any honest concern for the indigenous toiling masses. Both of them have given reigns of scams and unleashed State terror to suppress voices of protests. Both of them have partnered in worsening the miseries of the common people through their pro-rich policies. When only 150 Indians posses wealth in the range of USD 500 million to USD 999 millions, and only 109 billionaires in the country control 20.5% of the total fortune the ultra wealthy segment comprising 7,730 individuals posses according to World Ultra Wealth Report, 2012-13 by Wealth-X, the UNESCO report on nutrition has exposed that 20% of children under years of five suffer from wasting due to acute undernourishment in India where live one-third of the world’s wasted children. The report has further shown that 43% of Indian children under 5 are underweight and 48% are stunted due to chronic undernourishment. India accounts for more than 3 out of every 10 stunted children of the world, the report has shown. The Prime Minister had to confess while releasing the HUNGaMA report on hunger and malnutrition on January 10, 2012 that “Despite impressive growth in our GDP, the level of under-nourishment in the country is unacceptably high. We have also not succeeded in reducing this rate fast enough” (PIB 10.01.12). The HUNGaMA report released by Dr. Singh has also shown that in Orissa, in all the districts surveyed except only one, have much more than the national average of 48% of the children bellow 5 that are stunting. In districts like Malkangiri, Koraput, and Gajapati percentage of underweight children below 5 are much more than national average of 48%. So, both Dr. Singh and Sri Patnaik know that their misrule has ruined the people and pushed massive majority of our children below five years of age to severe malnourishment while helping the rich comprising a very small number as shown above grab India’s national wealth. They know that under the rule of the rich,which each of them has promulgated, the people have lost their purchasing power and unless they are supplied with highly subsidized rice, they would die of starvation. And, lest massive starvation deaths, inevitable in the climate of starvation they have created, exposes how harmful is the economic policy they have been practicing, a condition of slow starvation was contrived to replace the condition of starvation, by ensuring supply of rice at Rs.2/- per kg. But the people are so ruined that it was soon realized that they have no financial ability to purchase rice even at Rs.2/- per kg. Therefore, Naveen has reduced the rate of rice to rupee one per kg in Orissa, which Manmohan is eventually to promulgate in the national level to escape censor for his harmful economic policy and to cultivate votes in 2014 by using the magic of meretricious sympathy for the wretched which the savagely subsidized rice is expected to weave. You may find in these pages, discussions galore about their misdeeds. Will you, dear readers, wake up to save our fellow beings from the pernicious network of undeserving politicians like these two when our country offers us the opportunity to do so in the coming general elections? 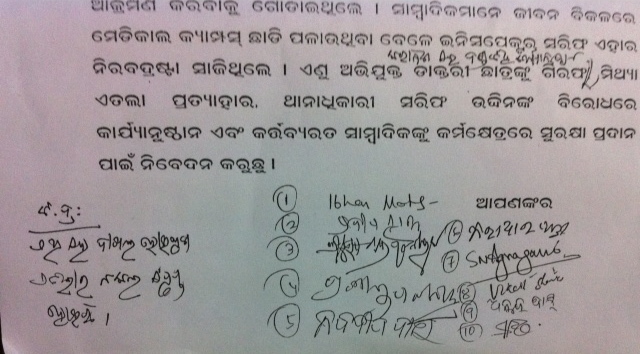 Patnaik has exposed how a self-help group of writers and scribes have collectively enhanced credibility of the swindler by accepting big sums of money as their salaries and awards under the banner of a body of letters style Seashore Sahitya Academy that the crook had floated to build up his image of benevolence in the public. And, he has named the literary acrobats who have contributed to promotion of climate the Seashore group wanted to lure the depositors. He has exposed how the swindler had contrived a method to fetch fame through these men. And, how, under the presidentship of Panda and approval of Das, literary lightweights like college teachers Malabika Roy and Bipin Bihari Nayak and a veterinary doctor Duryodhan Das were teamed up in this dubious body that netted in, in course of time, opinion makers like Journalists Barendrakrushna Dhal, Srimay Kar and Sriram Das to pump in credibility to the censorable outfit by accepting its awards. When Panda as president of this Academy, allegedly functioned without receiving any money for the service he rendered, Malabika, Bipin and Duryodhan received Rs.60,000 each as monthly salary as its vice-presidents, where as another teacher Narayan Panda also bagged the same amount as Secretary of the said Academy, Patnaik has claimed. Das accepted a monthly package of a lakh of rupees to act as advisor, he has noted, while questioning his prudence in being associated with such a bubious body against salary of such a stupendous amount. By active contributing to creation of misleading fame of a crook, who, on the strength of such manufactured fame, has swindled about 500 crores of rupees from the deposits of the lured people, the self-help group of authors and scribes, as named above, has played the nastiest possible mischief against the society, Patnaik has alleged. The climate of swindling, cheating, fake fames, and hypocrisy that Naveen Patnaik’s deceptive rule for more than a decade has created, has, it seems, made our men of letters and societal conscience keeper such scraps that they have no courage to stand erect against luring currents. When his father was an indoor patient in SCB Medical College Hospital, reporter Chittaranjan of Naxatra News, while attending him, came across such irregularities in the hospital management and health care that as a media person it was to him imprudent to ignore. He was in a predicament. He knew that it would be irritating to the College authorities as well as to the hospital’s medical staff if the irregularities were exposed and may lead to debacle of his ailing father. Yet he also knew that if he sloughs over the irregularities, his professional conscience would never excuse him. He battled against himself and finally decided to honor his professional conscience. He captured some evidences of irregularities in camera on 14 06 1013. This irked the medicos. Today, at around 5.30 PM of June 15, when Chitta and a co-reporter had been to the medical college and hospital to attend to his bedridden ailing father, a irritated gang of medicos numbering about 30, attacked them suddenly and forcefully took them into confinement. The wrongful confinement lasted for about two hours. The reporters were threatened with dire consequences if the tapes on which visuals were shot yesterday were not handed over to them immediately. But the tape was not with the reporters as by that time they had already submitted the same in the bureau office. Their tormentors asked them to kneel down holding the ears by both the hands till they were released at about 7.30 in the evening. On behalf of ‘Naxatra News’ channel, its editor-in-chief Basudev Mohapatra has condemned the hooliganism resorted to by the medicos and has appealed to media fraternity to unite against such attack so as to protect free press in the State. Media Unity for Freedom of Press (MUFP) Presidium member Prasanta Patnaik is in consultation with other members over the issue.